Offering great value for the money, buying a preloved Jeep makes good economic sense. At Karz Plus, we want to let you know how to pick a great used Jeep in San Diego so that you can have years of fun with your new acquisition. The Jeep SUVs are hardworking and reliable. People love them for this attribute and often buy them for off-road fun. Prior to purchasing a used Jeep, it is really important to check it carefully for signs of damage that have occurred on the trails. Take advantage of professional assessments to check for worn suspension components and underbody damage from heavy off-road use. If your used Jeep has been used for recreational driving, it is important to note that the wear on the vehicle will be greater than an equivalent vehicle that has similar mileage but been used only on road. Some of the used Jeep models have removable panels. Always check that these parts will detach easily and have not been damaged by previous use. Look out for corrosion due to being driven in environments with high salinity such as snow covered roads and beaches. When test driving your shortlisted vehicles, make sure that all the advertised features are operational and that there are no fluid leaks under the vehicle once it is moved from the place it has been parked. Some basic checks should be performed to ensure that the vehicle has a clear title and is not encumbered in any way. 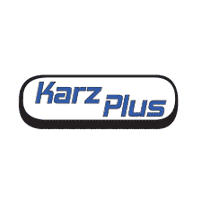 When you buy from a reputable dealer, such as Karz Plus, you can be sure that all these checks have been taken care of for you and you can drive away with confidence.